How Can I See the Top Locations Engaged With My Campaign? See where your shoppers are viewing your campaigns from. To check out the locations from where your shoppers are viewing your campaigns from, head over to your LimeSpot admin panel. Step 1: Go to the Approach tab on your LimeSpot Admin Panel. Step 2: Click on the Campaigns tab and select which campaign you want to see where the shopper's locations are. Step 3: You will see your Campaigns analytics. 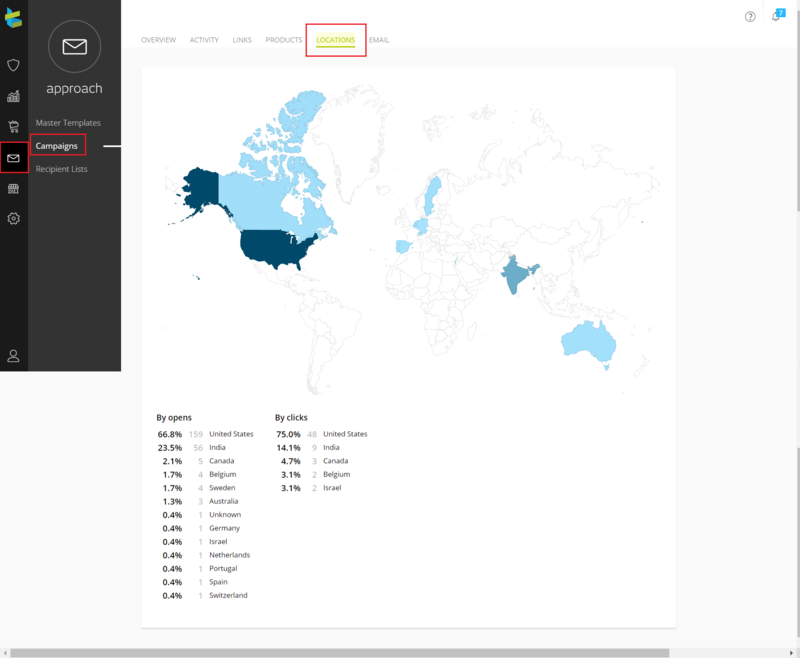 You will see an overview of your campaigns analytics. At the top of this page, you will see a tab that says Locations. Click on Locations to check out where your shoppers that opened your campaign are located. You can hover through the map to see how many open/click rates happened in that part of the world.